Urban greenies across the US may finally get what they desire — streetcar lines in their home cities. Due to a change in federal transportation policy under President Obama, 22 American cities are reportedly considering building or expanding streetcar lines. Not only would the streetcar construction help revitalize many American cities, it could promote greater adoption of public transit and decrease reliance on cars. When Obama took office, the administration made it easier for cities to obtain federal funds in order to build or expand streetcar lines. 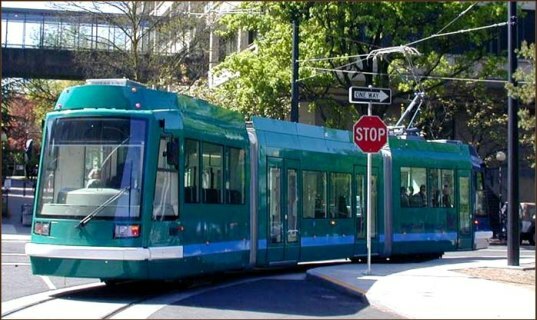 This past February, the Department of Transportation gave grants to Tucson, Detroit, Dallas, New Orleans and Portland to create new streetcar lines. A total of 22 US cities are reportedly considering streetcars, including Los Angeles, Baltimore and Atlanta, among other towns. If the cities secure funding, construction could start within the next year or two. 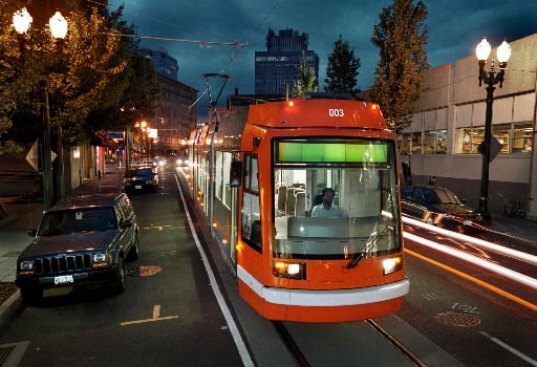 Portland, Oregon is perhaps the best example of how streetcars can become popular and help green a city. In the past ten years, the existing Portland streetcar line has earned about $3.5 billion in private investment. Since 1997, 53 percent of the area’s downtown development has occurred along the streetcar line. Plus, calculations show that 30 percent more people ride the city’s streetcars than would have ridden buses. Instituting more public transit — especially transportation as charming as a streetcar — throughout America’s cities will undoubtedly revitalize neighborhoods and make urban centers more navigable. Plus, eliminating the need for traveling by automobiles will help all city dwellers live a little greener. At least monorails don't compete with street traffic or create the related hazards. There are no unsightly wires and much less disruption during construction. Over all costs are probably similar. Yes station design is a complication due to elevation differances with street levels but safety over street, bicycle, & pedestrian traffic is worth it. Seattle has a relatively new street car that was installed in a terrible location, between downtown and Lake Union, disregarding all the comments against it from consultants, designers and residents. It achieves all the negative points mentioned by SeanWG and JuliePatchoolie. -- It runs on and competes with surface traffic on a handful of streets that are crucial to flow in and out of the city. It adds nothing and slows down traffic thus adding pollution and stress (and gives non-car transportation a bad name). Ridership is very low, giving it a worse reputation. I am not categorically against street cars but they need to be used only where they make sense; and that is usually only in a few spare locations. The other street car in Seattle makes sense because it runs along the waterfront parallel to the BNSF railline (very permanent) and it doesn't cut through or hinder surface traffic in such a crucial way. It adds like a good bus route adds to your options. So I say put the rails (or monorails) where they make sense and let people ride those for their nostalgia, and as the right transportation choice to be part of happy and sustainable lifestyle and community. To add to the comment from SeanWG, the rails are also dangerous to bikers, rollerbladers, strollers, etc. Too many times in Toronto, have I seen a biker get their wheel caught in the dip between rail and the asphalt and take a tumble. There are few things I love more than a subway system and great public transportation, but I have to disagree with streetcars being the solution. 1) They have to travel on the road so are negligibly faster than a bus (e.g. Boston's green line) 2) They add lots of unsightly wires, detracting from the city's beauty 3) installing rails on the streets is massively expensive 4) this seems an issue of perception towards buses - how about spend the money on marketing, or beautifying buses 5) I really could go on. I think it should be a combination of high speed intercity rail, dedicated light rail separate from streets, effective buses, plus walkability. Urban greenies across the US may finally get what they desire -- streetcar lines in their home cities. Due to a change in federal transportation policy under President Obama, 22 American cities are reportedly considering building or expanding streetcar lines. Not only would the streetcar construction help revitalize many American cities, it could promote greater adoption of public transit and decrease reliance on cars.